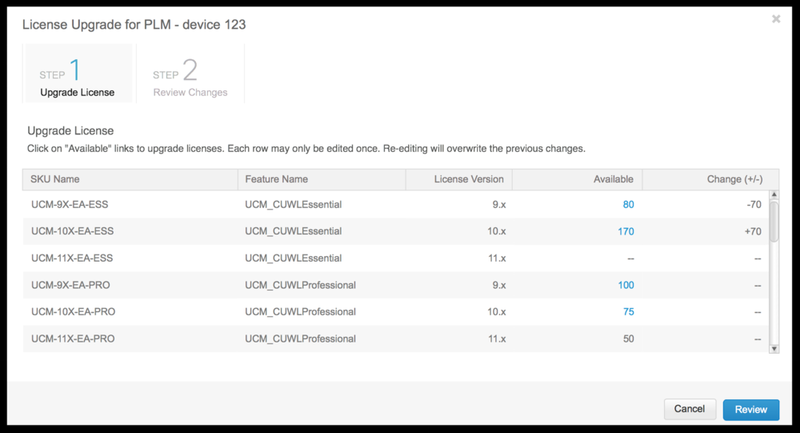 Deploying new versions of software licenses used to require interacting with multiple Cisco licensing tools and websites. This project aims to create the one-stop-shop experience within the Cisco Enterprise License Agreements portal, so that the users are able to upgrade licenses with one click. Deploying new versions of software licenses used to require a multi-step process. The admin users need to visit different licensing portals within Cisco to complete that task. First, they needed to upgrade the Product Activation Key in Prime License Manager, then they used the Product Activation Key to generate new licenses in Enterprise License Agreements portal. 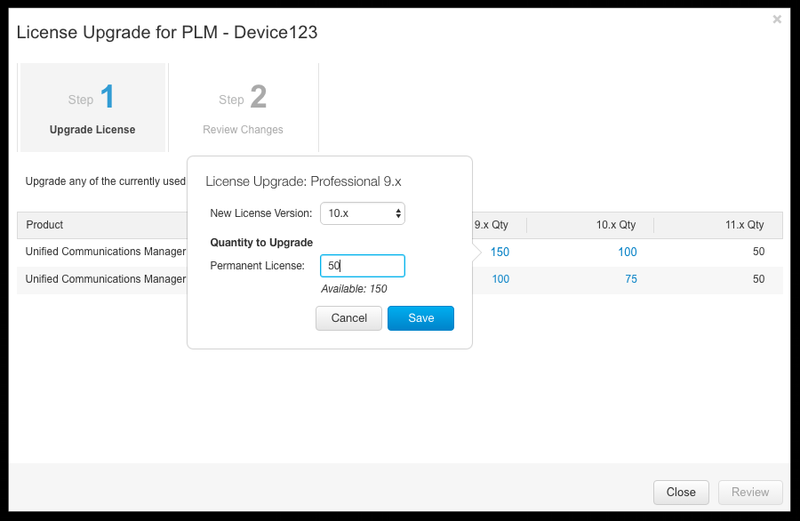 Being able to upgrade licenses in one place with one simple action became highly desirable. Design Challenge #1 - How to present the license versions in a meaning way? The unfortunate reality of the legacy systems Cisco depended on for licensing was that users were required to upgrade Product Activation Keys in Prime License Manager, and the versions for each feature associated with a Product Activation Key were presented in a SKU format, which was not friendly or human-readable. 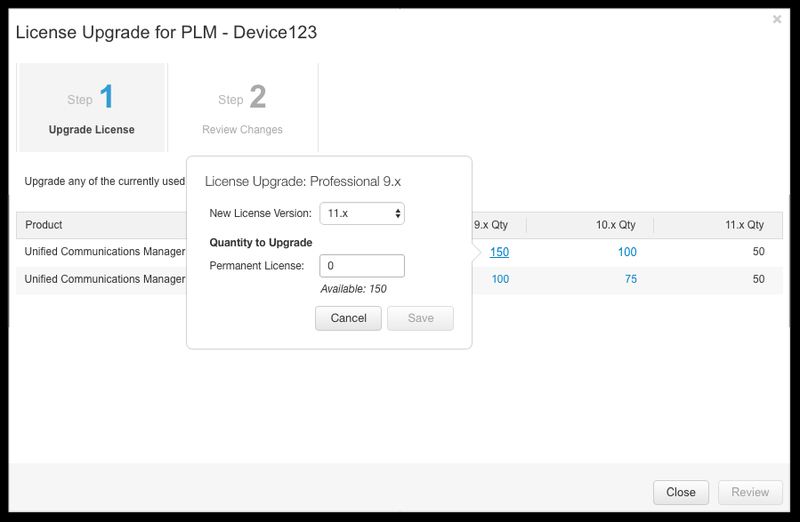 Design Challenge #2 - What if multiple versions of multiple licenses are being upgraded at the same time? how do users remember which ones are pending to be upgraded? “Mark the cell dirty” idea borrowed from Excel spreadsheet - the quantity that has been changed will have a triangle mark on the upper right corner of the table cell indicating it as “Upgrade Pending”. Even if the SKU format had been commonly used within the Enterprise License Agreement portal for other product features, the version approach makes users’ life so much easier, by providing an intuitive and human-readable format just as they would see in the software upgrade on their own personal computers. But extra metadata would be required for the development team to build that “translation” from SKU to product version behind the scene. Before investing in this increased development effort, we decided to build a prototype and do a user testing to hear what users’ reactions might be. Surprisingly, results from usability testing were inconclusive. Business stakeholders decided to stick with the SKU approach and save development team bandwidth for other requirements. Meanwhile, they decided to keep things simple so only one version would be allow to be upgraded at a time. Hence the “Upgrade Pending” challenge was eliminated.